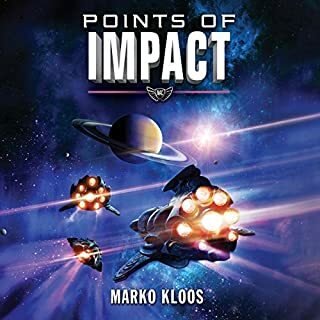 Marko Kloos delivers us a disappointing book in his Points of Impact, book 6 in his saga. In my opinion this is a book that should never have been allowed to be published. The publisher seems to be eager to just earn of previous success with this empty shell of a book, and honestly it makes me think twice of picking another one of his books up. It is at the best of times average, and that is a generous assessment of this. Most of the time the storyline is boring and repetitive. The author did not have to dig deep for this one, and I am sure that an editor could easily just have put this together from notes gathered from the writer. It lacks so much that should be in a finished product of a book that gets to publishing, but I shall not go on. I urge you to stay away from this one. You will not miss anything in the plot by skipping this book. The narrator does a good job with what he has been given, the poor man, but it is not enough to rescue this work of utter … from failing, nothing could. A wonderful story that you should not miss! This is a lovely story full of smiles, laughs and hard trues about life. It takes you on a journey that you will not forget and make you fall in love with the main carracter and the story that he tell. 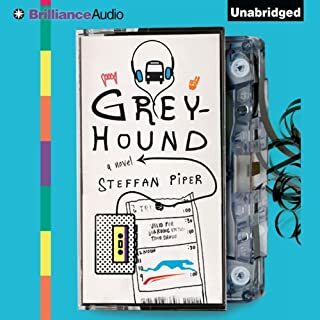 This is a "must" read / listen and you will never regret picking it up. I loved it!